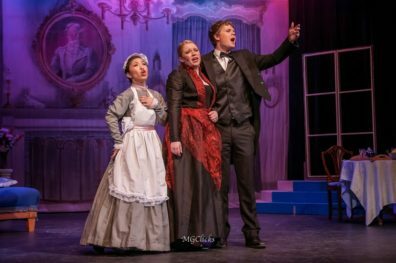 The WSU Opera Workshop presents performances of opera and musical theatre, providing singers and actors with the opportunity to perform exciting repertoire while developing singing, acting and stage movement skills. 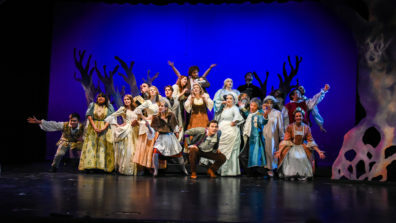 After auditions, those singers whose voices are developed enough to perform in the production will be cast in scenes or full roles, according to their individual abilities. 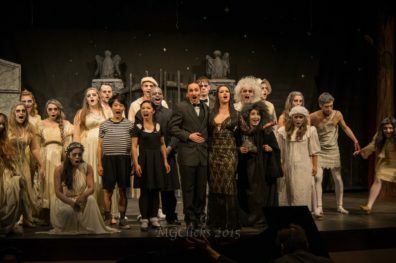 Each fall the ensemble presents a production of operatic scenes and/or one-act operas. For Mom’s Weekend in the spring, a full production is presented, rotating between opera and musical theatre, accompanied by the WSU Symphony Orchestra. In the summer of 2002 the ensemble added a now annual summer musical theatre production to its offerings on campus. 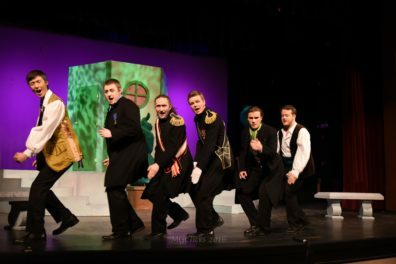 Auditions for the fall are held the week before classes begin while auditions for the spring and summer productions are held in the previous semester’s closed week before finals. If you visit the WSU campus, please feel free to stop by one of our rehearsals. The class meets on Mondays and Wednesdays from 3:10 – 5:00 p.m. in Kimbrough 115 or on the Bryan Hall Theatre stage.